Goblin’s teeth, witches warts and more! 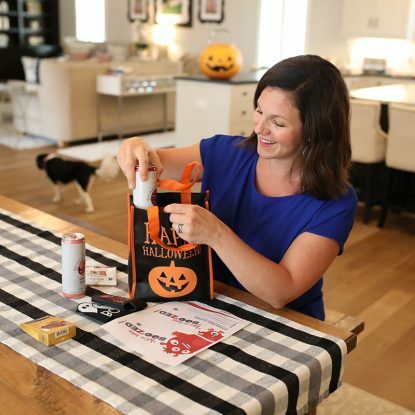 Spook your guests with these Boo Bags loaded with Haunted Trail Mix are a fun Halloween snack or party treat. 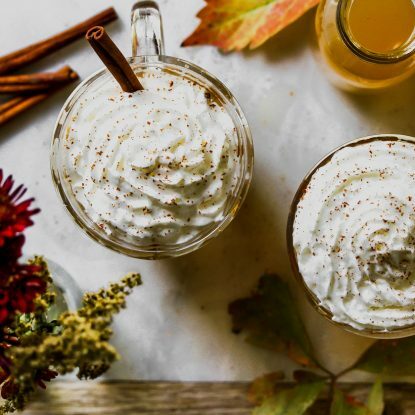 Sure, Halloween is about candy but that doesn’t mean you can’t throw some other fun Halloween party foods into the mix and get a little creative. 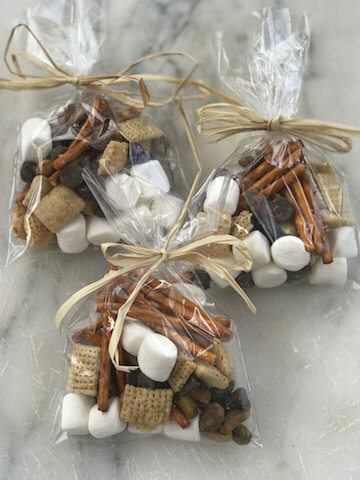 The girls and I had a blast making these clever Boo Bags filled with Haunted Trail Mix to share with their classmates at their Halloween parties. 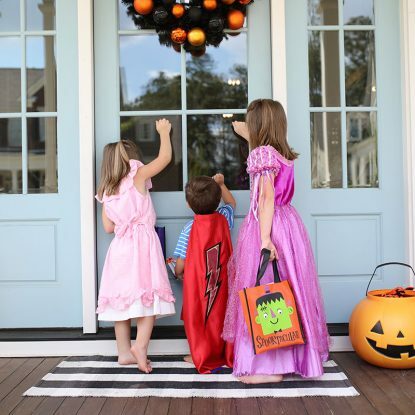 We even kept bags on-hand for Halloween snacks before trick-or-treating. What else would you include in your haunted trail mix? 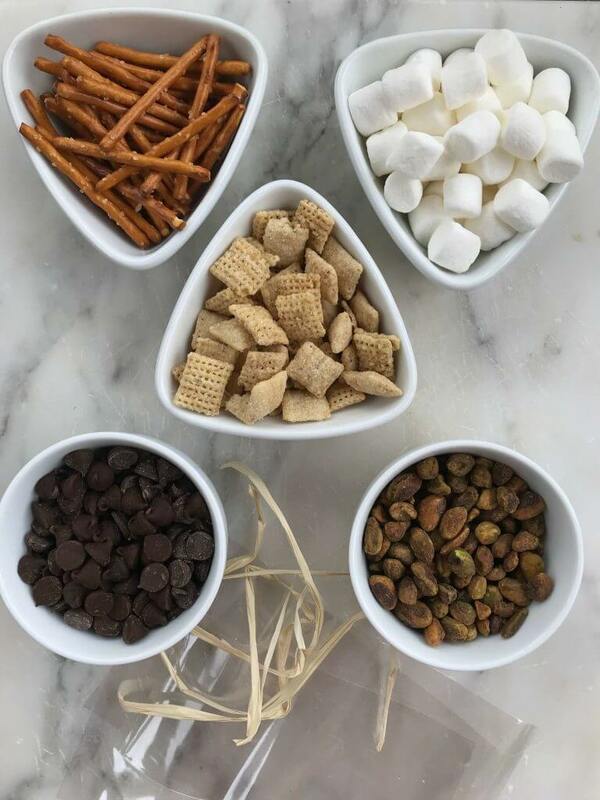 I think shelled sunflower seeds (especially if you want to make a nut-free Halloween snack mix), Honeycomb cereal, and candy corn could make for a fun party favor. If you love this Halloween treat bag idea but have no time to grocery shop, I’ve got you covered! Each ingredient listed above is linked to Amazon so you can quickly and easily click and order. I’m sharing links to everything–all the way down to the little treat bags and raffia I used to wrap up the trail mix. Looking for more Halloween party food ideas? 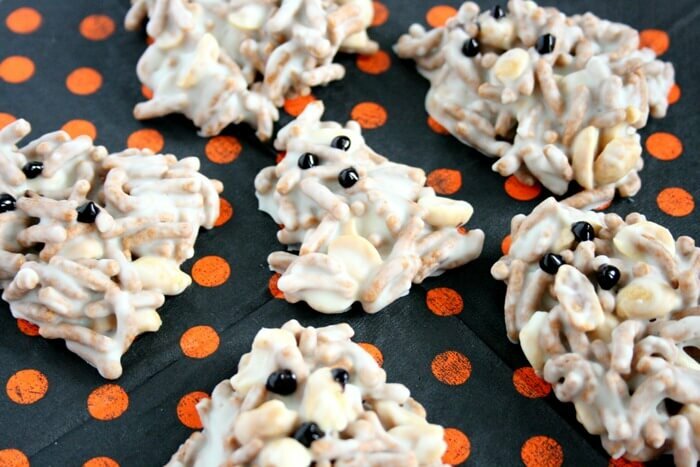 I’ve got you covered over on my Halloween Headquarters with recipes like White Chocolate Ghosts Haystacks, Graveyard Ghost Cups and these Halloween Treats for Kids.